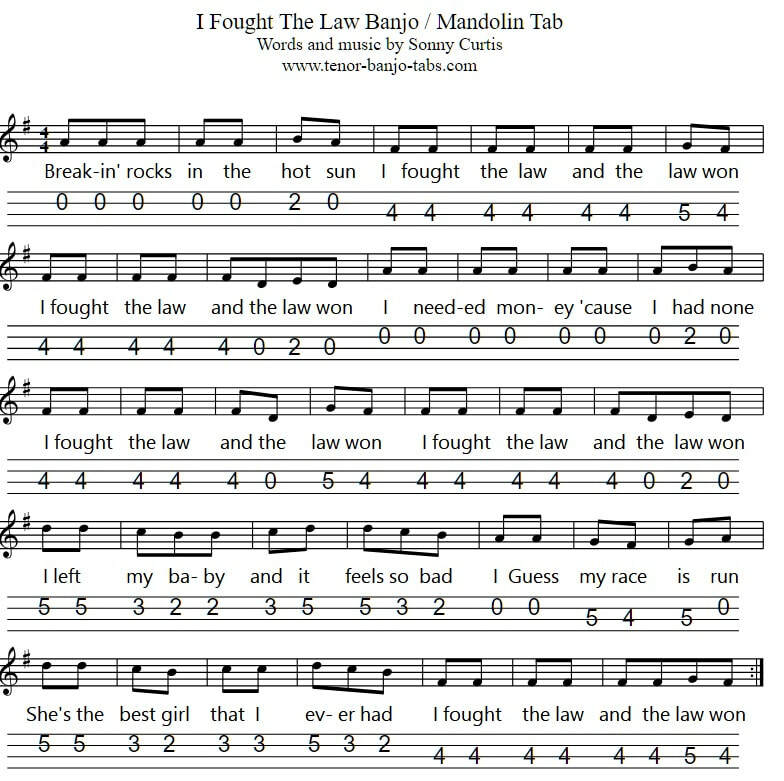 The sheet music tab for I Fought The Law is in the key of G Major. I first heard this ''Rock Song'' from The Clash back in the 1980's. The song was written by Sonny Curtis and was recorded well before The Clash by The Bobby Fuller Four.